For groups coming to the Costa del Sol or anywhere else in Southern Spain, we arrange and coordinate reliable, quality transfers with sedan cars, vans, coaches and buses. 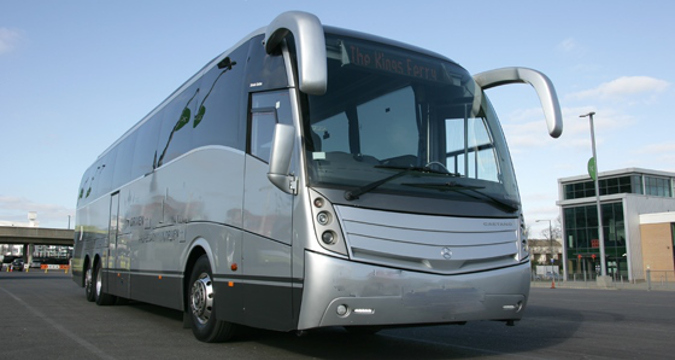 From airport transfers to full day disposals, we cover the entire range of transport needs. We are available 24/7 and always ready to react to last-minute changes. Our experienced and discrete drivers are always uniformed and speak English.We cover the whole Andalusia region and are very used to drive our guests to Malaga, Marbella, Estepona, Sotogrande, Ronda, Sevilla, Jerez, Granada, Cordoba…. Our team of airport transfers will work with you on a transfers "manifest", updated whenever you provide them with changes in plans, coordinate all arrivals and even inform you in real-time should you want it. We are used to dealing with massive conventions and coordinating several hundreds of airport transfers per day. We also offer holiday car hire with driver, with "at your disposal" day/week/month services, ideal for groups and families looking for exclusive, discreet and secure chauffeur driven car rental solutions. And if you're looking for a simple but quality airport transfer or VIP holiday planning services, we also offer such services at an unbeatable price. Our professional transport services are designed for groups organizing conventions, incentives or teambuilding events on the Costa del Sol. We organize quality and affordable group transportation by car and coach (from sedan cars for 1 person to several 59 seater quality coaches). From airport transfers to day-to-day shuttle transport services, we cover the entire range of ground transportation services.